as well as the fabulous Prima Marketing Say it in Pearls & Crystals Bling Circles. Aren’t they super cute? 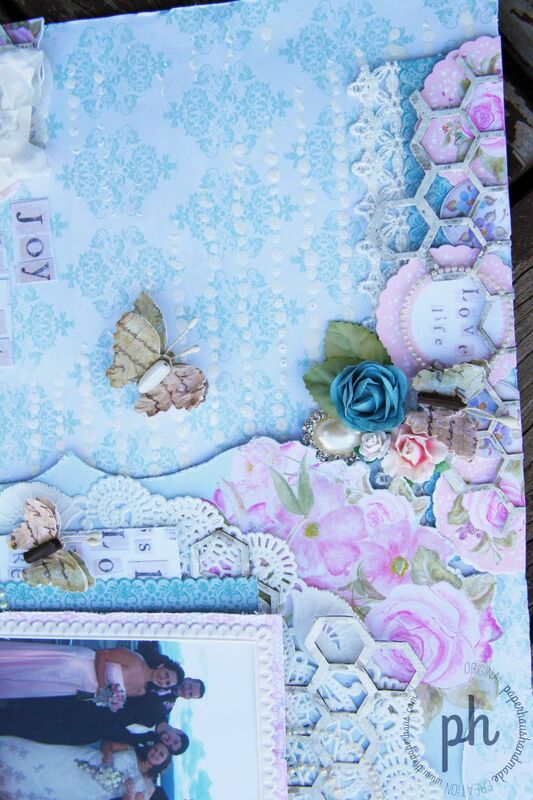 The flowers vary from Manor House Creations, Kaisercraft, Prima Marketing and Petaloo and the gorgeous double layered buttterflies are also from Petaloo and were also included in the kit. The chipboard chicken wire is from A2Z Scraplets and has had a very rough coat of Ranger Tim Holtz Distress Crackle Paint in Picket Fence White. 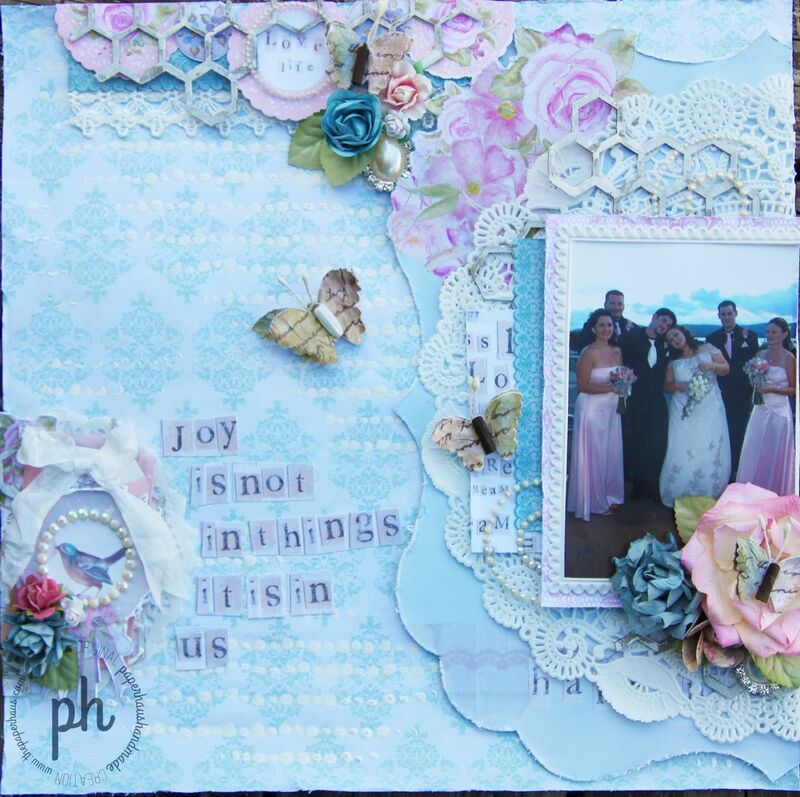 I just love adding these chicken wire/hexagon shapes behind details on my layouts and the best part is that I have used it so much on this layout yet I have only used 1 piece of chipboard so it is sooo worth the $2.50 price tag! Click here to visit the A2Z Scraplets website and order yours today, I usually order in quantities of 10 cause well I love it and use it often LOL. 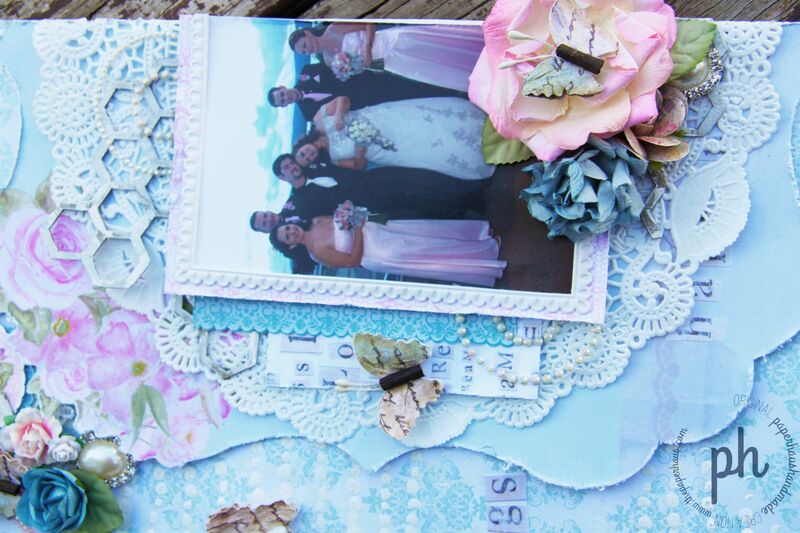 Some other fabulous details on this fun shabby layout include the Pink Paislee Artisan Elements Square Frame that I have trimmed to fit my rectangle photo and I also had these beautiful Maya Road Vintage Pearl Trinkets that I have tucked under a couple of the Flower Clusters aren’t they divine? Well that is it from me today, be sure to click here to visit the PaperHaus Magazine Blog to see the rest of our fabulous design team’s inspiration for this sketch. 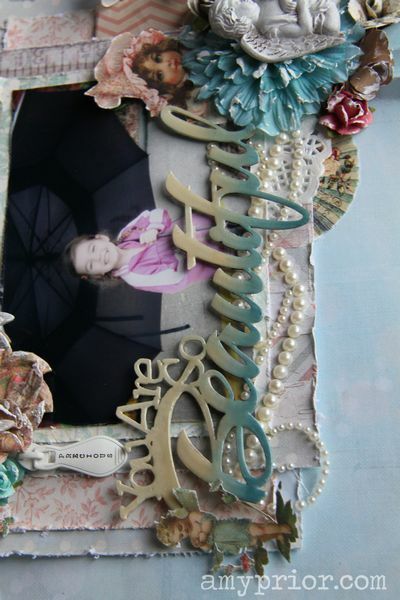 Don’t forget to head on over to the Flourish with a Bling Blog here to check out the full details. My journalling is hidden on a tag which pulls out using the Satin Seam Binding Bow and is concealed inside the Fancy Pants Decorative Bag. 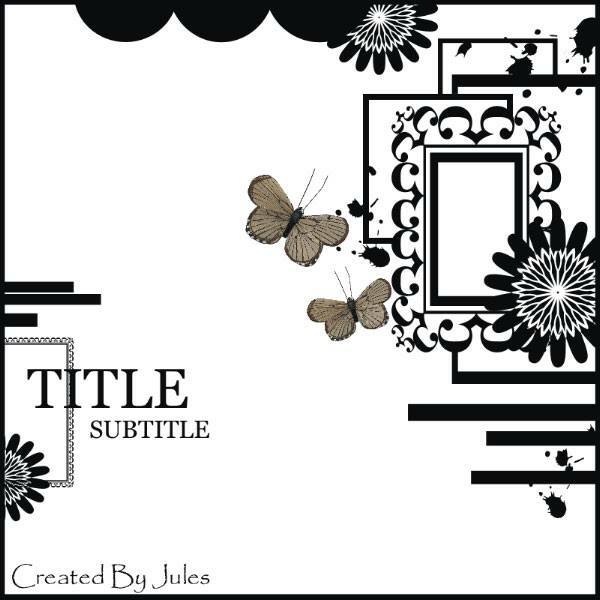 This layout I have created using one of the awesome kits available from A2Z Scraplets which you can find here. To create my background, I have covered my white cardstock with random shaped and sized paper doilies. 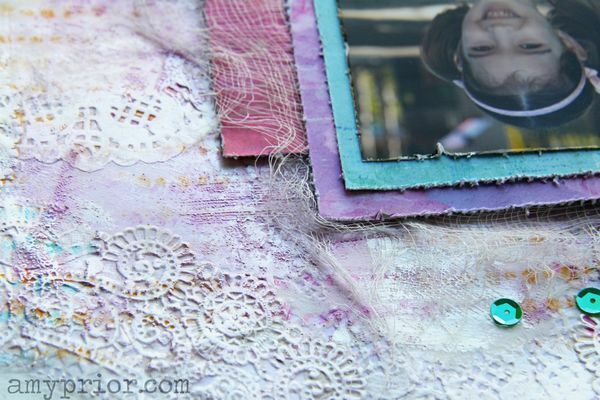 I wanted to add lots of subtle texture to the background and I have covered them completely in Mod Podge Matte. Next I have sprayed some various Lindy Stamp Gang sprays using a Prima Marketing Static Mask. I only sprayed very small sections randomly in 3 different colours. I have then swiped an embossing ink pad over the entire background gently so I grabbed some of the texture and not just covered the lot and then I have sprinkled some Lindy Stamp Gang Embossing Powder over the top and heat set. The papers that I have used are from the Firefly Collection from Prima Marketing and the flowers are a combination of Flourish with a Bling, Green Tara, Kaisercraft & Prima Marketing. When layering my distressed patterned papers, I have included some ripped and torn cheescloth in between. I have finished off the layout using some of the torn pieces of cheesecloth placed over my flower clusters and then added some random sequins to match the drips on the sketch. Here is the sketch from Berry71Bleu this month. Don’t forget to head on over and have a go there are awesome prizes up for grabs always. 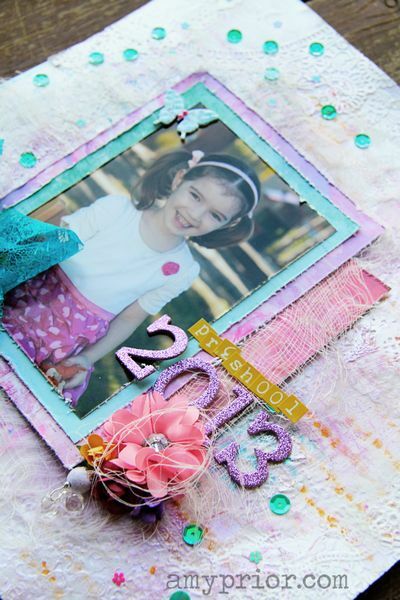 Lindy Stamp Gang Starburst Stain Sprays in Delphinium Turquoise, Hottie Patottie Pink & California Poppy Gold. 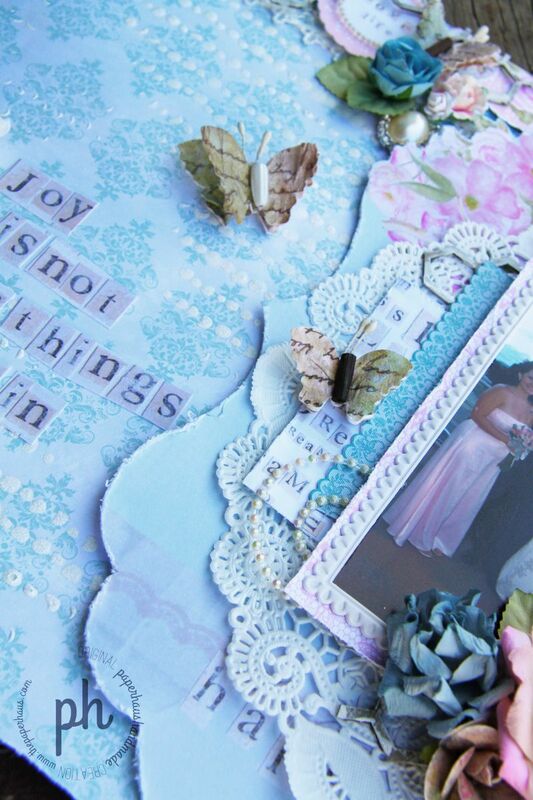 Various flowers including Kaisercraft, Green Tara & Prima Marketing. 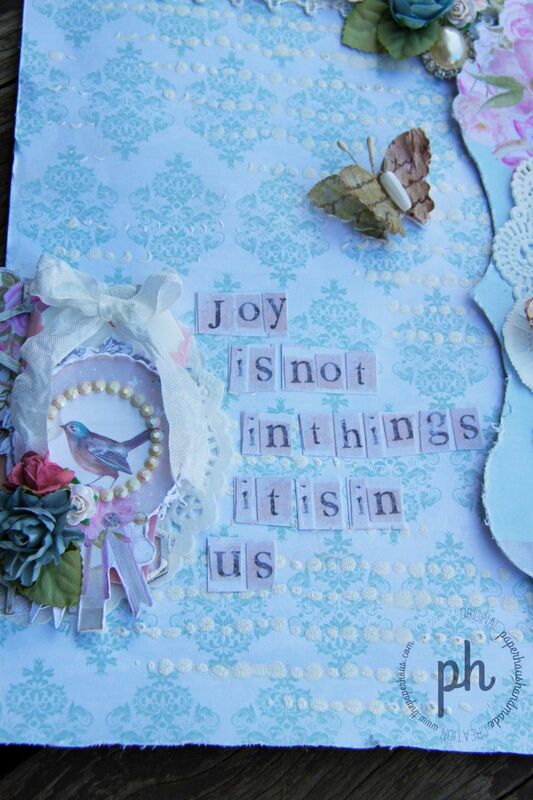 Well that is it from me today, I hope I have inspired you to get creative with this month’s challenge on the Berry71Bleu Blog. Until next time, happy scrapping!